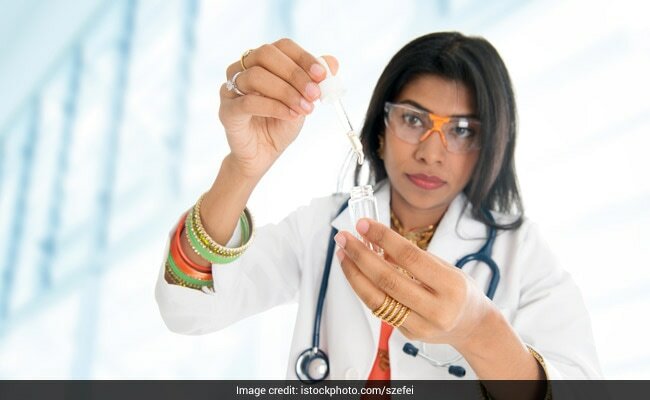 India accounted for one-fourth of the estimated 7.5 million bachelor in science and engineering degrees awarded across the world in 2014, a report has said. Washington: India accounted for one-fourth of the estimated 7.5 million bachelor in science and engineering degrees awarded across the world in 2014, a report has said. However, it's the US that tops the charts in research and development spending, according to the annual Science and Engineering Indicators 2018 report of the National Science Foundation has said. China's growth in science and engineering field continued at an exceptional pace, the report said. The US is the global leader in science and technology (S&T). However, its global share of S&T activities is declining as other nations -- especially China -- continue to rise. According to the most recent estimates, in 2014, the US awarded the largest number of S&E doctoral degrees (40,000) of any country, followed by China (34,000), Russia (19,000), Germany (15,000), the United Kingdom (14,000) and India (13,000). In contrast, the US lags in bachelor's level degrees. India earned 25 per cent of the more than 7.5 million awarded S&E bachelor's level degrees in 2014, followed closely by China (22 per cent), the EU (12 per cent) and the US (10 per cent). Nearly half of all degrees awarded in China are in S&E fields. Since 2000, the number of S&E bachelor's degrees awarded in China has gone up by 300 per cent, the report said. Among the major producers of S&E publications, the United Kingdom had the highest international collaboration rate (57 per cent) in 2016, followed by France (55 per cent) and Germany (51 per cent). The US followed with a 37 per cent international collaboration rate, up 12 per cent from 2006. The impact of S&E publications has also become more global. Between 2004 and 2014, the share of US publications with citations from abroad increased from 47 per cent to 56 per cent. While the US led the world in R&D expenditures at USD 496 billion (26 per cent share of the global total) in 2015, China was a decisive second at 21 per cent (USD 408 billion). China has grown its R&D spending at an average of 18 per cent annually since 2000. During the same time frame, the US R&D spending grew by only four per cent. According to the report, the US invests the most in research and development (R&D), attracts the most venture capital, awards the most advanced degrees, provides the most business, financial and information services, and is the largest producer in high-technology manufacturing sectors. Similarly, while the US attracted the most investment (nearly USD 70 billion), accounting for slightly more than half of the global share, 26 per cent of total venture capital funds went to China. Countries also specialise in different fields of research, with the US, EU and Japan publishing heavily across the medical and biological sciences, while India and China focus on engineering, the report said.